150 pages | 2 B/W Illus. There are increasing calls for social science researchers to work more closely with research users. References to engaging users in and with research are now common in research funding requirements, national research strategies and large-scale research programmes. User engagement has therefore become part of the rhetoric of educational and social science research. But what is user engagement, how can it be achieved and what challenges and opportunities does it present for researchers and research users? The authors of this new book present an authoritative overview of recent theoretical debates, practical developments and empirical evidence on the role of user engagement in contemporary educational and social science research. The book focuses on the relationship between user engagement and research design, and emphasises how user engagement needs to be understood as an interplay between the different kinds of knowledge and expertise held by researchers and users. 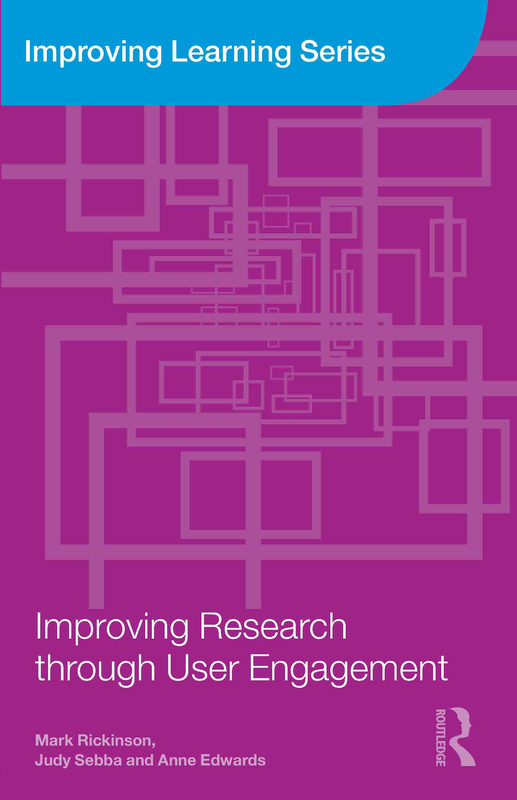 Drawing on evidence from studies involving different kinds of research users, there is detailed discussion of the dynamics and complexities of working with practitioners, service users and policy-makers. The authors make clear that user engagement has definite implications for the way in which research is designed, managed and commissioned, and the way in which researchers and research users are trained, supported and encouraged to interact. specific suggestions as to how the conceptualization, management, scaling up and evidence base of user engagement could be improved. At the core of this forward-thinking text is a robust analysis of an important facet of modern social science research. The authors’ evidence-based, evaluative approach provides a useful, detailed analysis of an area of social science research methodology which is increasingly valued and emphasised by research councils and mediators. Mark Rickinson is an independent educational researcher and a Research Fellow in the Department of Education at the University of Oxford, UK. Judy Sebba is Professor of Education and Director of Research and Knowledge Exchange in the School of Education and Social Work at the University of Sussex, UK. Anne Edwards is a Professor and Director of the Department of Education at the University of Oxford, UK.